One of the finest examples of screen writing/playwriting you'll find. I caught this T.V. movie the other night and was deeply moved by the story of the young boy, Horace, who is cut out of his family "fortunes" when his mother remarries after his father, a drunkard, fades from their lives. 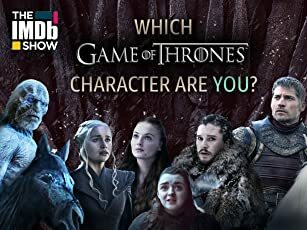 His step-father sends him to work in a dry goods store in a distant town at the age of 12, justifying his rejection of the boy by boasting of how he was supporting his entire family when he was exactly the same age. He clearly favors his wife and step-daughter, who remain with him and benefit from the material fortune that his steady paycheck as a railroad man at the turn of the century can bring...The story underscores the narrow choices women had a long time ago--the mother must sacrifice her son in order that she and her daughter survive and thrive. Yet her marriage to Mr. Davenport is not a marriage of convenience altogether; there is affection between them. It is only in this one area of his life that Mr. Davenport is completely unreasonable--he feels threatened by the vulnerability of his new wife's son, who is the same age he was when his father died and he had to go to work to support his entire family. He is repelled by the boy and sends him away, not even allowing him to spend the night in the house when his mother asks him to travel to visit. Stockard Channing does a wonderful job playing a woman walking the line between wishing to please her second husband and wishing desperately to reach out to her only son. She takes risks and strives to maintain her dignity in the face of a situation which is hell itself--sheer insanity...Those among contemporary audiences lucky enough never to have experienced the type of persecution Horace undergoes may find it difficult to believe that Mr. Davenport could be so unreasonable. Personally, I found it totally plausible. This movie does what great literature does--reminds one that one is not alone. After my mother's death the dynamics of my family changed completely and things were done to people, not only myself, that she would never abide were she alive. If someone cannot relate to this plot, it is more likely to be a reflection of the fact that they have lived an extremely protected life and have little imagination than it is any flaw in the movie or the play it was based on. The writing is superb and the leading roles are played by seasoned actors and actresses whose work is solid as a rock. Jean Stapleton has a delightful cameo at the beginning and end of the movie. Ms. Masterson has a challenging role as Horace's sister, Lily Dale, who is a nervous, narcissistic girl who is basically good hearted. She is a very complex character for and Ms. Masterson has to go through a transformation in the course of the film; she accomplishes a wide range of emotional affects in a short amount of time. 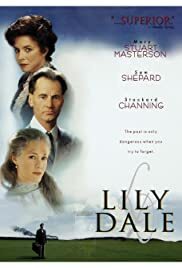 I was very impressed by the way she pulled it off and thought she did a fabulous job...Lily Dale is a period piece and the setting and costumes are exquisite; they create a real sense of another time and place and what daily life at the turn of the century was like for some people. At the same time, the basic theme of the film--injustice within families--is a timeless one. At any rate, seeing the movie reignited my interest in Mr. Foote's work; I had read a number of his plays in my 20's when I was an actress in New York. Now I should like to read his entire body of work. I highly recommend this movie.